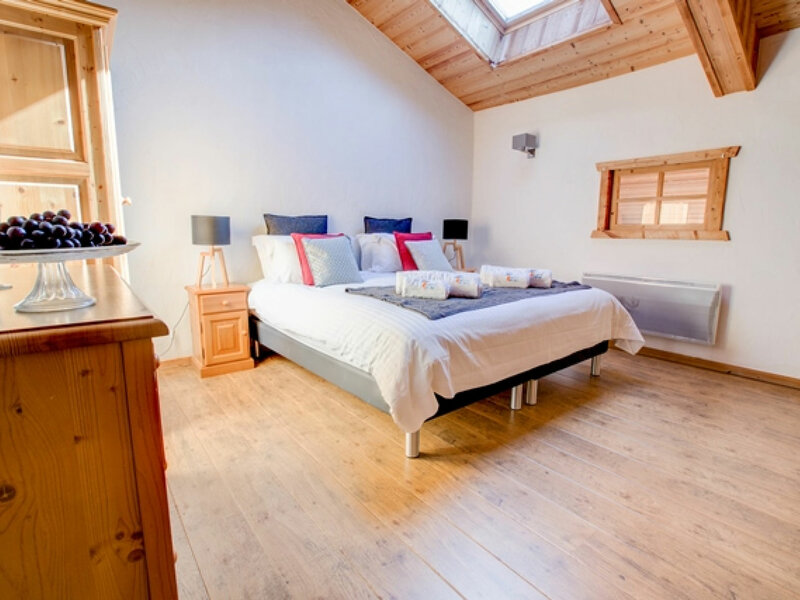 Chalet Alouette is a stunning chalet of old style timber and stone, it has a beautiful garden and the views from the chalet are something special. 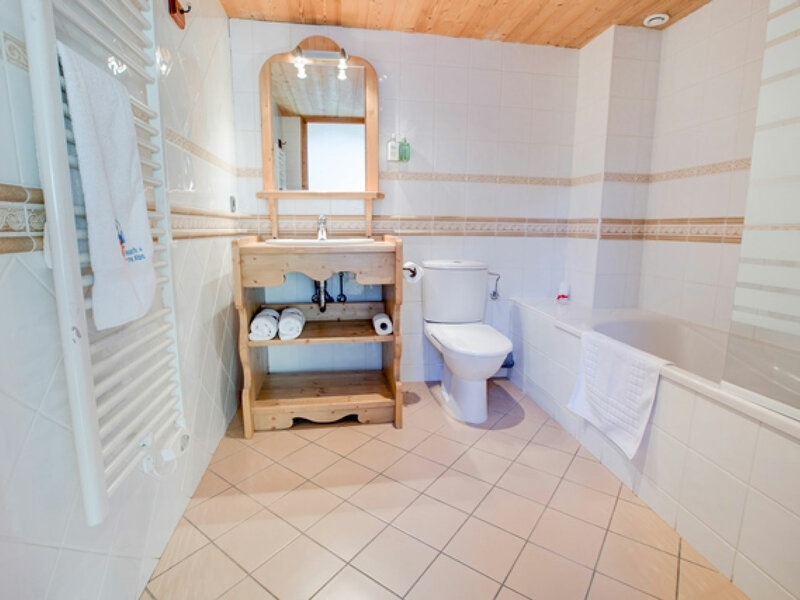 Inside, the chalet is bright and airy; all rooms are spacious and have en-suite facilities. 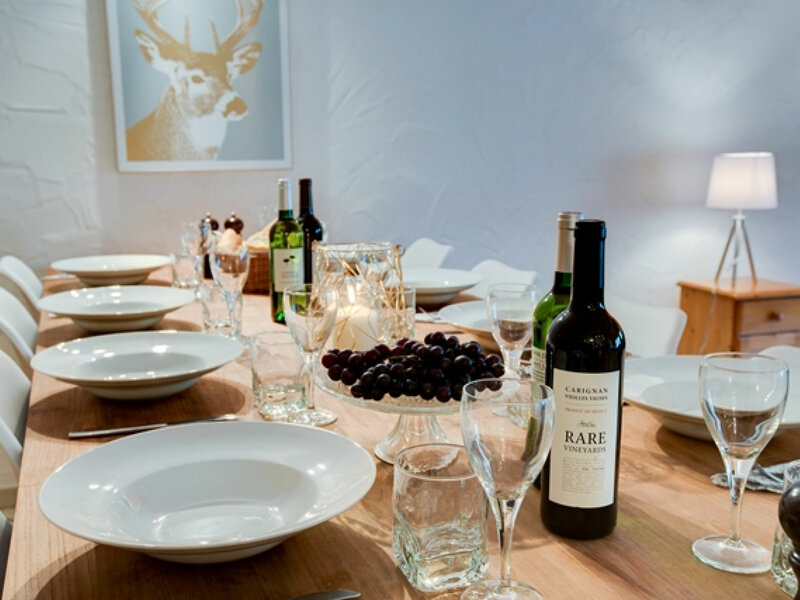 The open plan dining/sitting room is an exceptionally spacious room with the kitchen and dining area at one end and then lots of comfy sofas surrounding the open log fire at the other end. TV and DVD are provided. 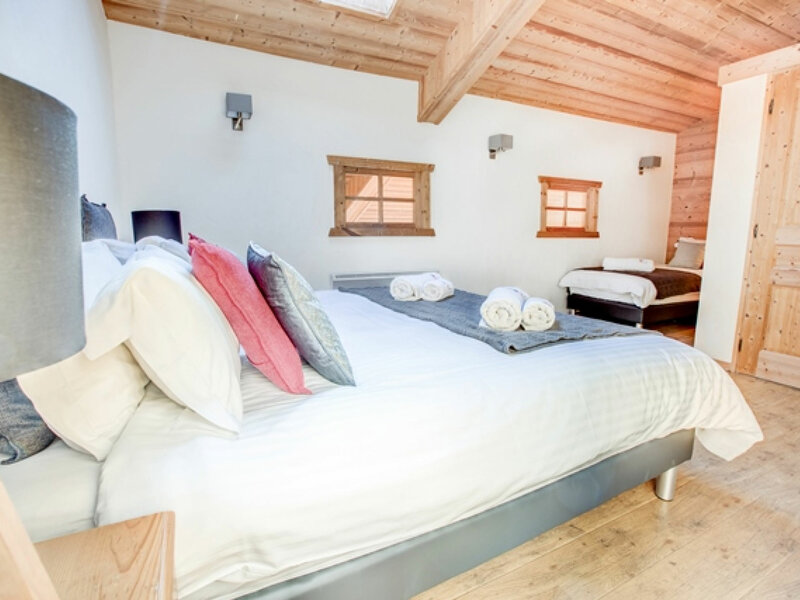 Floor to ceiling French doors lead out onto the large wooden terrace which overlooks the pistes of Les Perrieres and La Turche, For a little bit of added luxury we have installed an outdoor sauna & hot tub. 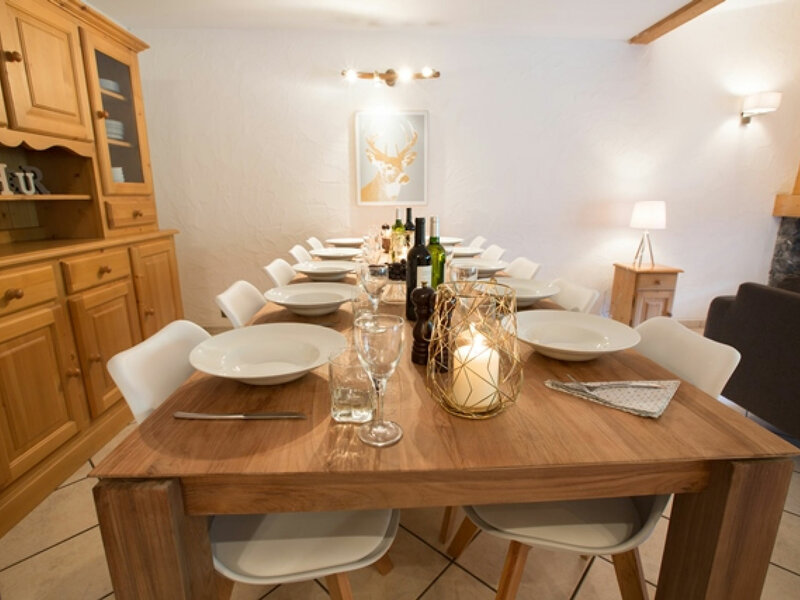 Chalet Alouette sleeps up to 10 in 4 bedrooms, the chalet can be booked by one party of 8-10 or several couples or smaller parties. 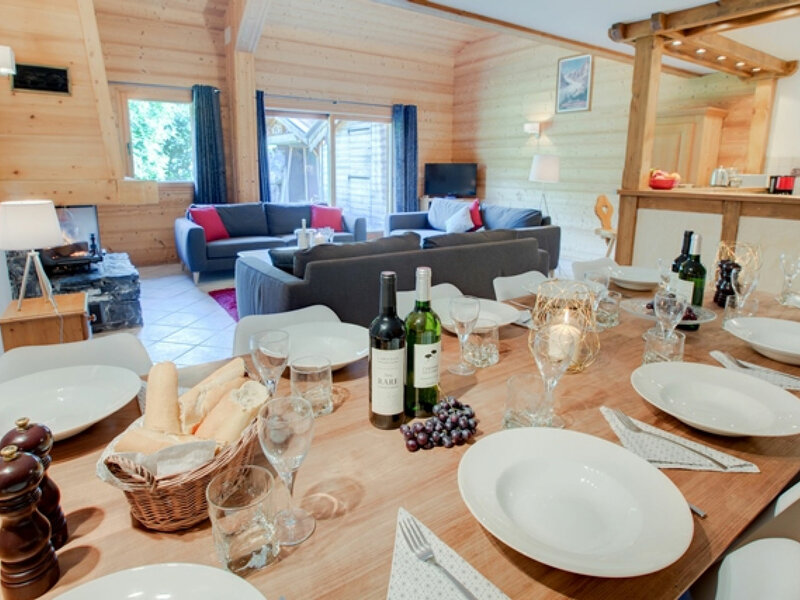 For larger groups of 16-20 you can book this chalet and its twin next door, Chalet Martinet. 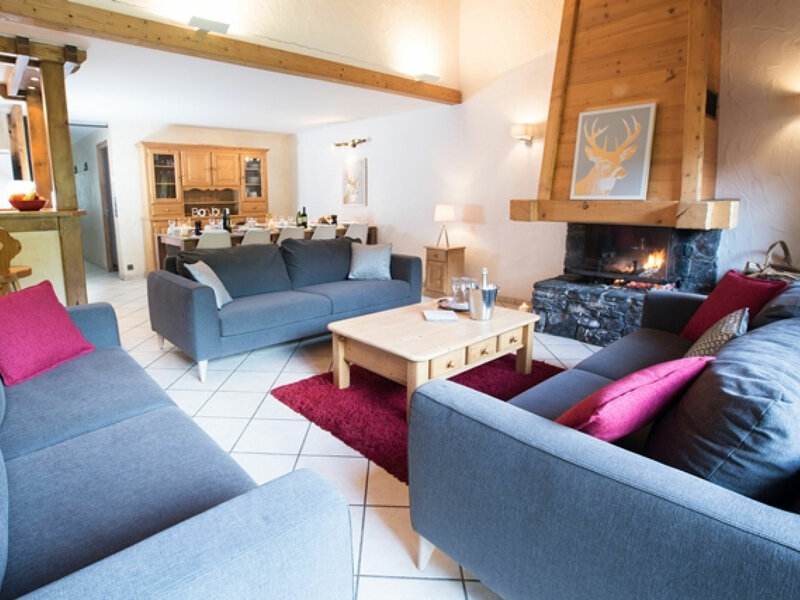 Chalet Alouette has a great location only 200m from the new high speed Perrieres chairlift at the entrance to Les Gets. 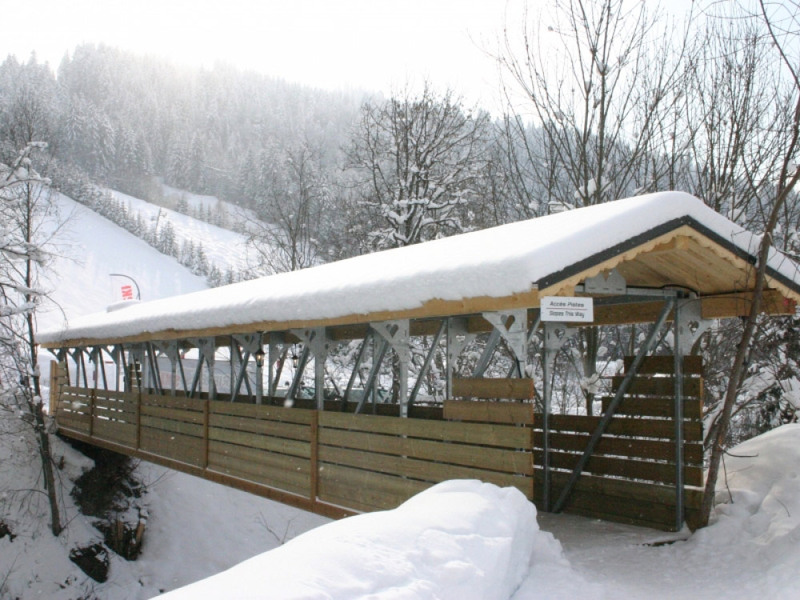 Thanks to a new bridge across the brook, you can ski to within a 1 minute walk from the chalet. 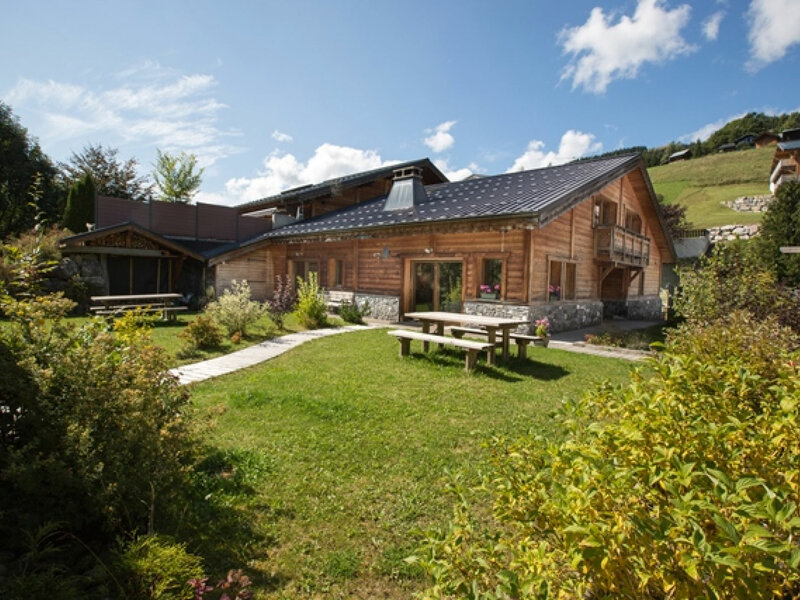 In the winter this is a catered chalet and in the summer, self catered. 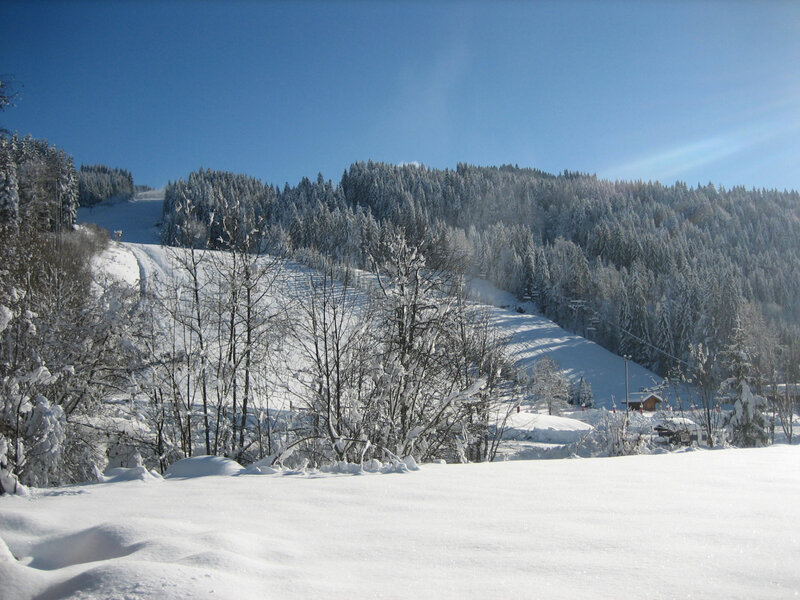 For those first time skiers/boarders and children, in winter, we offer a morning drop off service in our mini-bus to the bottom of the main beginner piste. Chalet Alouette and Chalet Martinet next door are sister chalets that sit right at the bottom of the Perrieres piste in Les Gets. 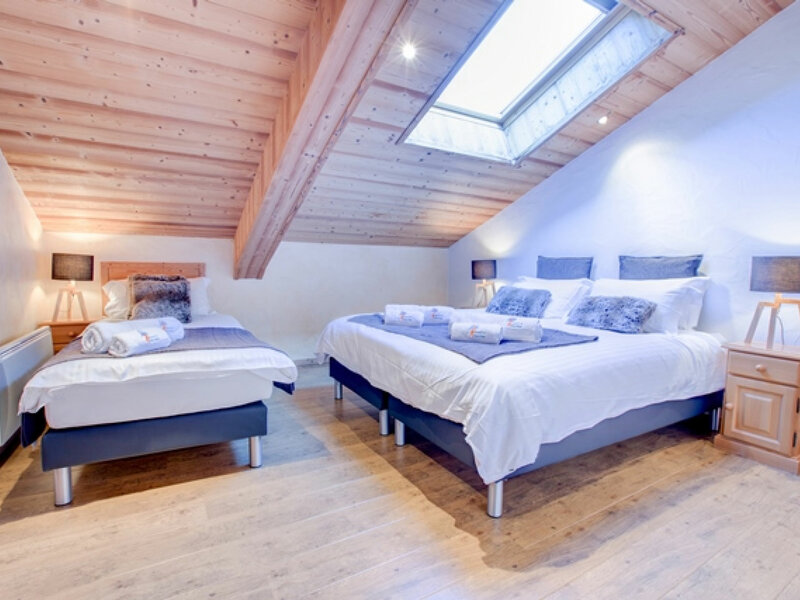 With direct access to the piste you can be in the mountains in minutes if you stay at either of these beautiful alpine chalets. 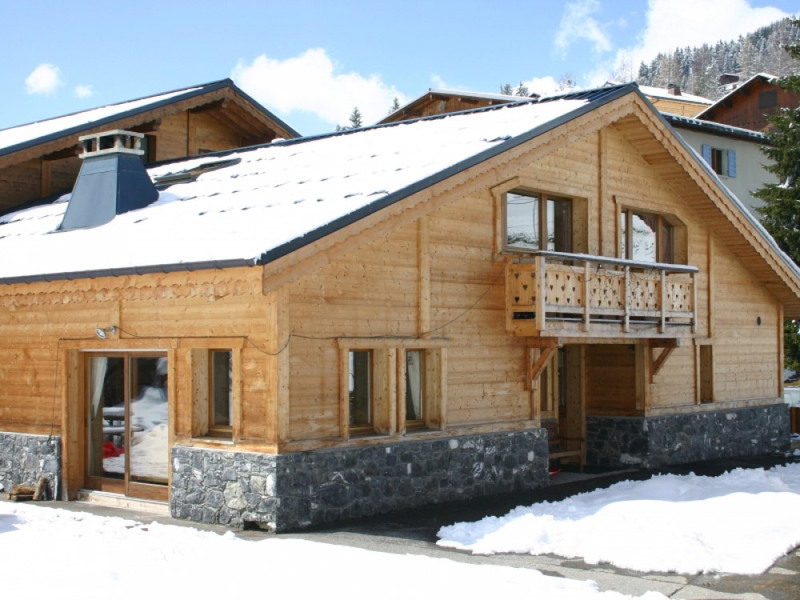 Each chalet sleeps 8 to 10 people and has incredible views of the surrounding mountains. 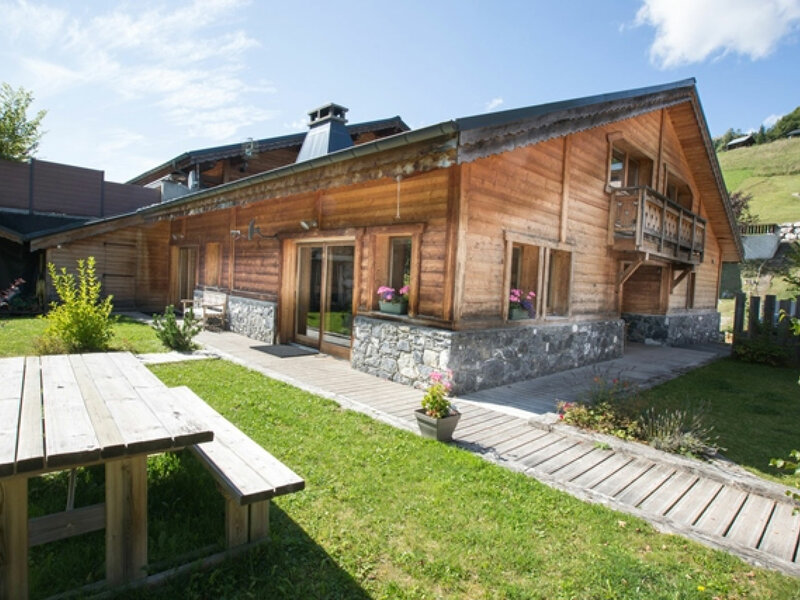 There is an outdoor hot tub in the garden shared between the 2 chalets and a sauna. 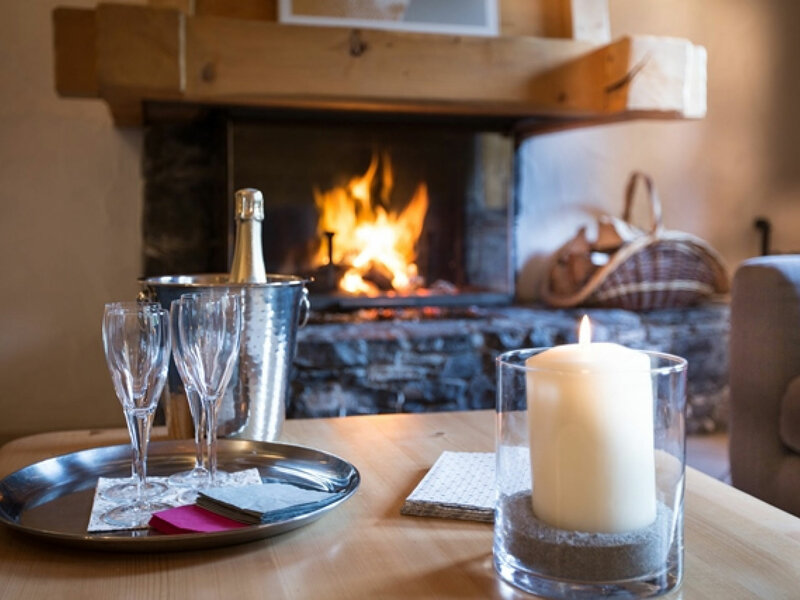 Why not sit in the outside hot tub and enjoy a glass of bubbly after a hard day on the slopes? 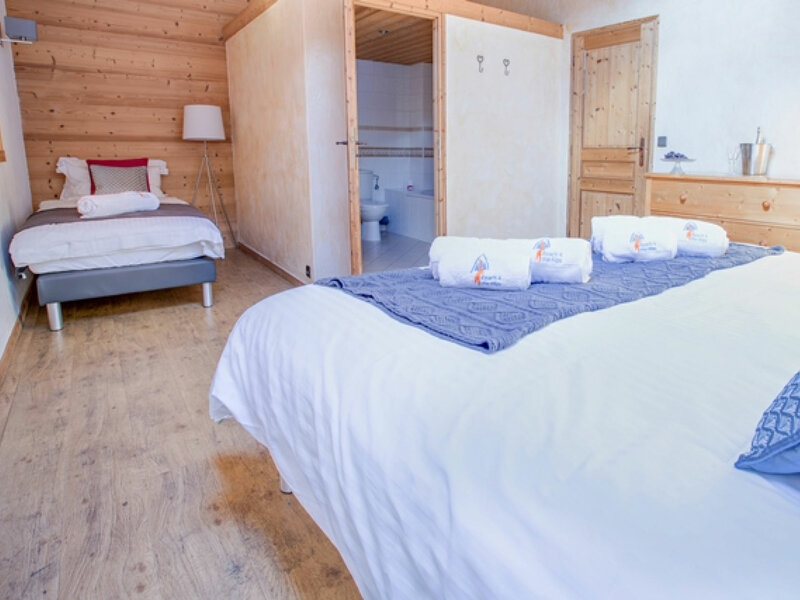 On the ground floor Chalet Alouette has a twin room and also a bunk bed room. There are then two large triple rooms on the first floor. The open plan dining/sitting room is an exceptionally spacious room with the kitchen and dining area at one end and then lots of comfy sofas surrounding the open log fire at the other end. Floor to ceiling French doors lead out onto the lawn overlooking the pistes of Les Perrieres which is floodlit at night. 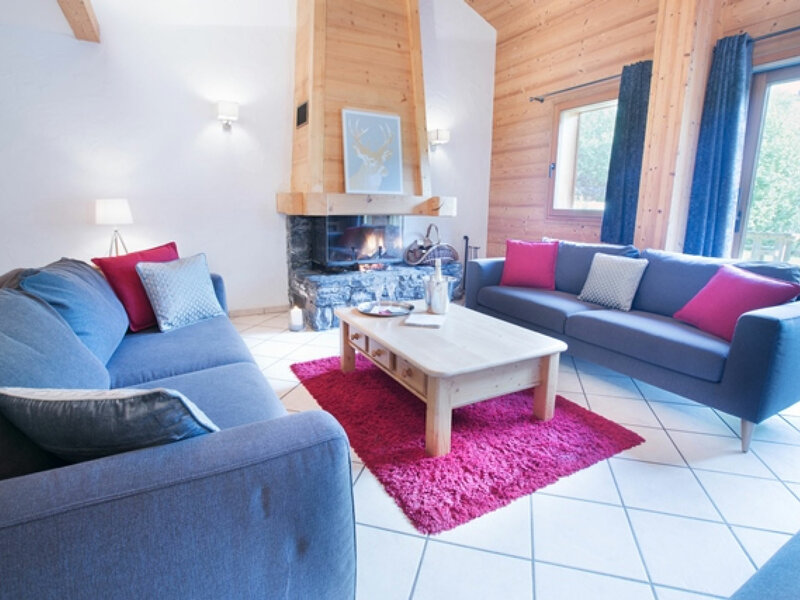 In the winter you can either book by the room (price per person based on a min of 2 to a room) or book the whole chalet on a sole occupancy basis based on 8 guests. Each additional person (after the 8th person) is 450 euros per additional person (not applicable on special offer weeks). 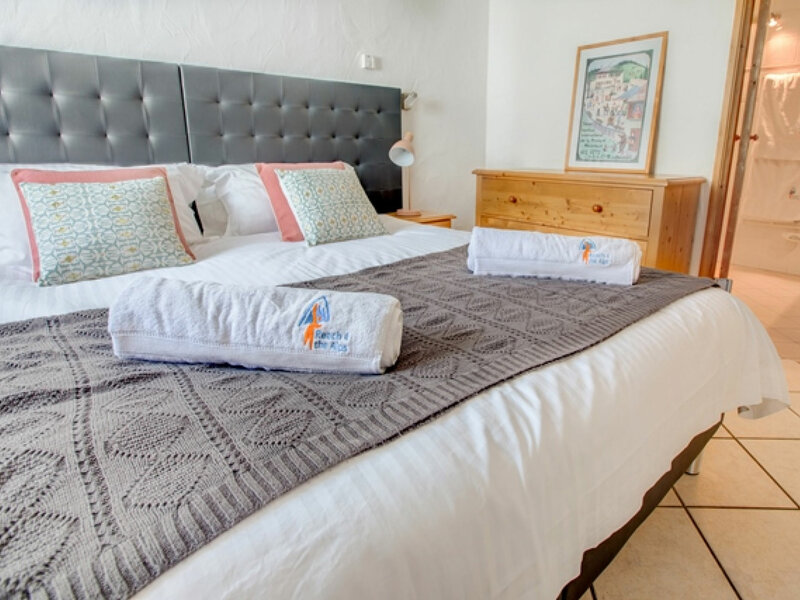 Child discounts are available if booking by the room for a week stay for children 12 years and under at time of stay and taking children's dinner. EARLY SEASON OFFER: The week price for the 15th December 2017 includes free return transfers. 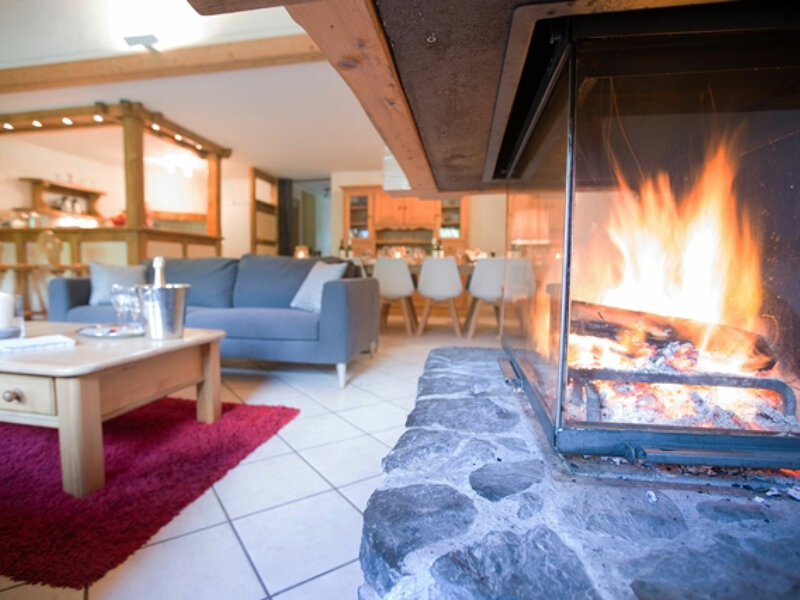 EASTER SPECIALS: Weeks commencing 1st & 8th of April INCLUDES TRANSFERS, also 15% off Adult Portes Du Soleil passes and FREE Portes Du Soleil passes for children under 12 with the purchase of an adult pass.